Click here to support BWBS on our first Giving Tuesday as a federal nonprofit! 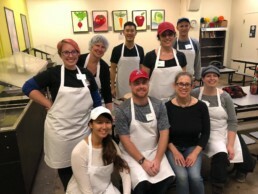 We pride ourselves on being a resourceful bunch that can do so much with the capabilities of the Burner community, but your tax-deductible donation will help us expand our reach and do more for our local Seattle/Tacoma community, like providing cake and ice cream for our recurring Birthday Dreams birthday parties for underprivileged children. Thank you for your generosity.